Hi I'm Nikki, Marketing and Product Executive at Genes Reunited. The BBC Who Do You Think You Are? Show have announced that the first celebrity appearing on this year's show will be June Brown, better known as the chain-smoking gossip Dot Cotton in EastEnders. Before the start of the new series I thought I'd do a little of my own research to see what I can uncover about June's family history. June Muriel Brown, known as the beloved Dot Cotton, was born in Suffolk in 1927, making her the oldest person to have ever taken part in the show. She was one of five children, but sadly her baby brother died aged just 15 days and her elder sister Marise died of an illness at the age of eight. During the Second World War, she was evacuated to Pontyates, a small village in Wales. During the later years of the war she served in the Royal Navy and was classically trained at The Bristol Old Vic Theatre School to realise her dream as an actress. It was there that she met and married her first husband, actor John Garley, in 1950. Unfortunately John he suffered from severe depression and tragically committed suicide in 1957. 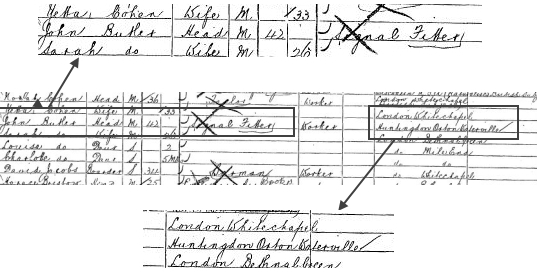 Our birth records (below) show us that June's mother's maiden name is Butler. Her father is Henry William Melton Brown who was born in 1888 in Teignmouth, Devon and her mother was Louisa Ann Butler born in 1899 in Mile End, East London. So at least we know she has one EastEnder in her family, mirroring her well known character. However, this link might be short-lived as I did find a possible entry for her mother in 1901 census. If you look at it you'll see Louisa's father was born in Huntingdon. Interestingly he was a signal fitter, so maybe he moved to the city as part of the Industrial Revolution? We think that June's Who Do You Think You Are? journey will begin in London, exploring her ancestor's in the 19th-century with a possible focus on the Industrial Revolution. She is then said to have a trail of ancestors in Holland and a story of relatives divided by war, so we will see a lot of how her family were living in the past. I have also uncovered information that reveals the impact of an expulsion from North Africa at the time of the Spanish Inquisition. Wow, seems like there is so much more to her family history than we all may have thought. I wonder if she'll meet up with any old relatives who'll be able to offer more information and facts about her family? I love it when the celebrity is shown old photos and documents giving them a much greater insight in to their family history. June's family history takes her on many overseas journeys. I'm sure the show will really dig deep into her family's migration from Africa, finding out about many of her ancestors that were forced to move from country to country. 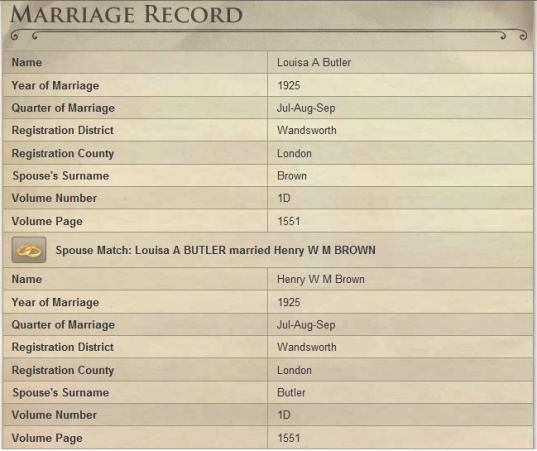 I have been unable to find anything on her father in our records, so maybe his family were the ones who came to the UK? I'm really looking forward to the first episode! Look out for more of our weekly blogs on all of the celebrities appearing in the series. 10 August, this Wednesday.I think it will be on at 9pm. I am looking forward to the series. Didnt see this advertised on tv and missed the first one, however have set the recorder to record the series. Do you know if the episode will be repeated at all please?